The Avocado Half Marathon starts and finishes at Town Square Park in beautiful Murrieta, CA. 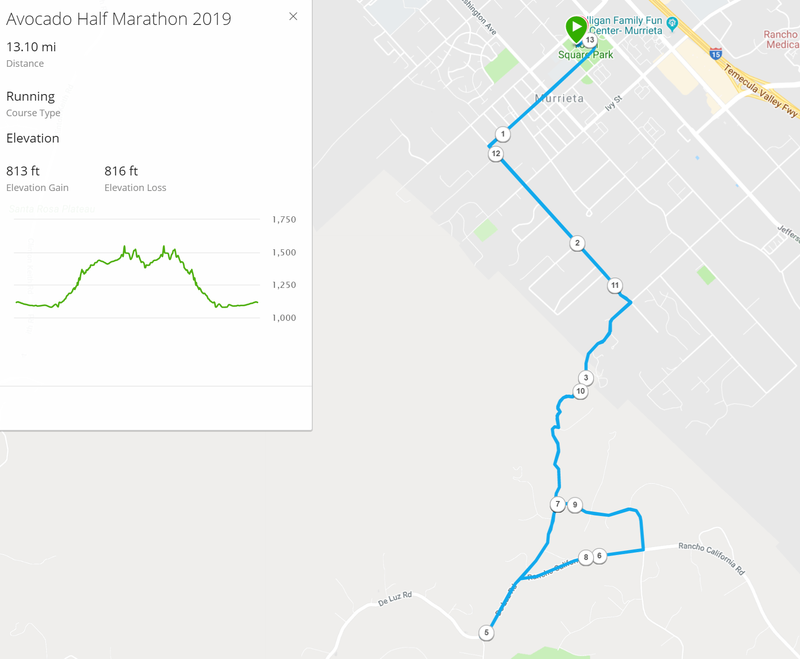 The course starts out mostly flat as you make your way past beautiful ranch homes, you may even spot some horses and long horns along the route. Be sure to save some legs for the De Luz Climb! De Luz turns into dirt for just over 1/2 a mile, but then back to pavement. The route gets really scenic as you make you way up into the hills above Murrieta. Water, nutrients and medical will be available along the route. 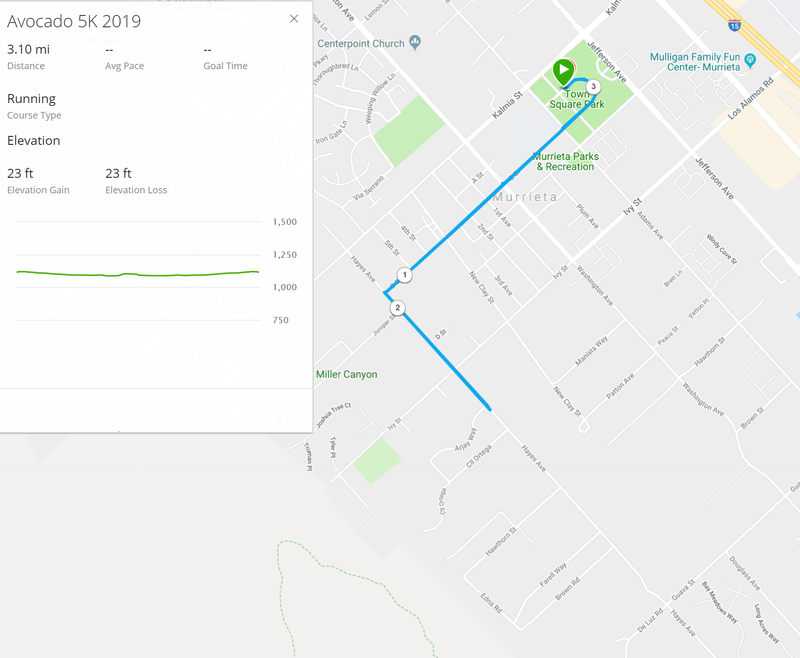 The Avocado 5K is a fast out and back course. This will sure be a PR course for those of you pushing it. Water will be available along the route. The 5K starts and finishes at Town Square Park.